Last week’s ‪#‎YouthSummit‬ saw young people speak up on the global issues they care about ahead of the landmark United Nations summit on the Global Goals to end poverty. 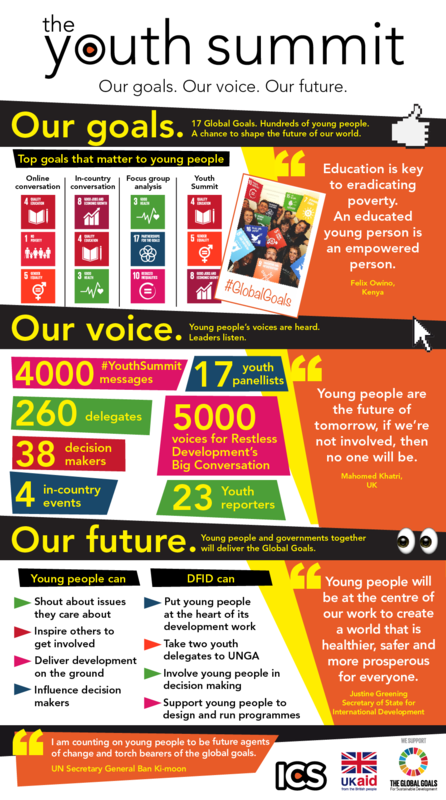 Take a look at this infographic for a snapshot of the #youthsummit and conversations that happened on the day. Click on infographic to share it on Facebook.